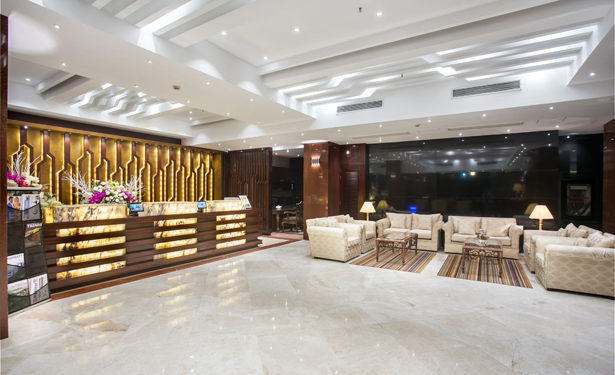 Welcome to Hotel Sarina, Dhaka’s most conveniently located Five Star Hotel. ‘Banani’, one of the posh areas of Dhaka, also the new business hub, are the neighborhood of Hotel Sarina. Being located in this business district you are not far from any of the important destination of your choice like business district of Gulshan, Baridhara Diplomatic Zone, Airport and so on. It is only thirty minutes drive from the International Airport, about five to ten minutes drive to Gulshan and to the diplomatic zone. 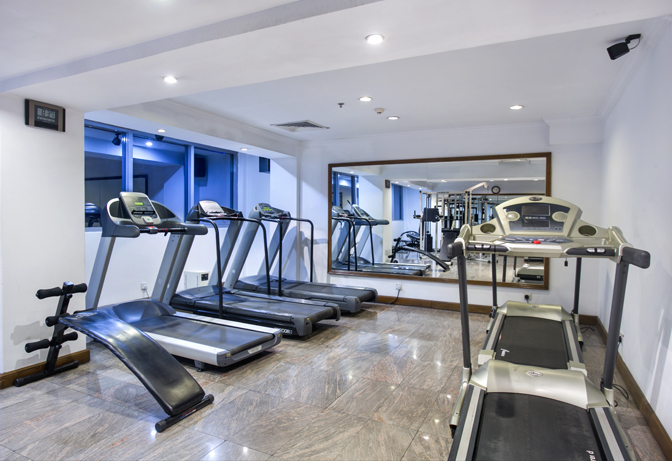 Two renowned shopping malls are only a few minutes walking distance from the hotel. We have different types of room for your comfort. Each room is designed to cater your requirement. The very recently refurbished rooms are well appointed with individual climate control and will certainly please you. 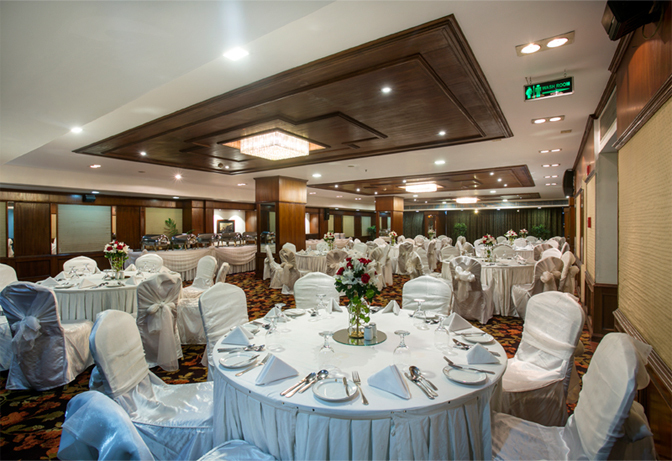 We are well equipped to cater for your banquet requirements in our state of the art venues with experienced and dedicated staff. All your dining options will be prepared by our expatriate chefs. Meetings Be it a business meeting, conference or a get together, you are at the right place. 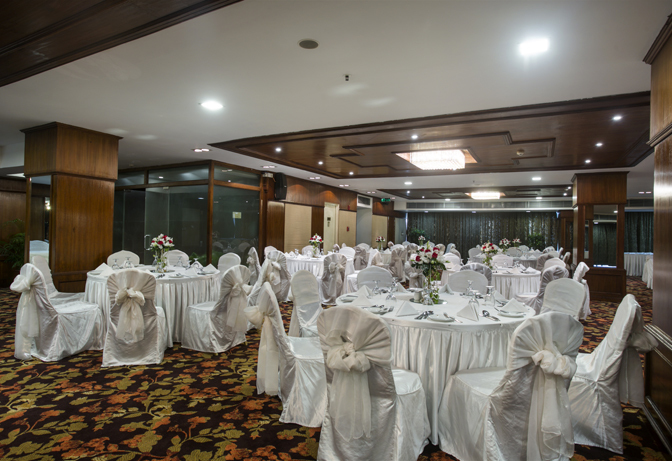 You can select from our different sized venue or make a combination as per your requirement. Restaurants In Hotel Sarina you will never feel any lack of choice of delectable cuisines. 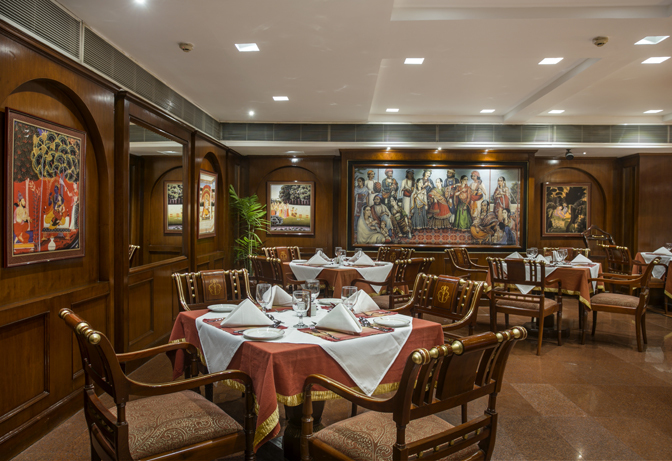 We have renowned lounge & restaurants for your selection. You can enjoy a truly unique culinary experience at Hotel Sarina. Events We have all the ingredients you need to accomplish by your events. Our Event Manager and Chefs will guide you to make your event a success.